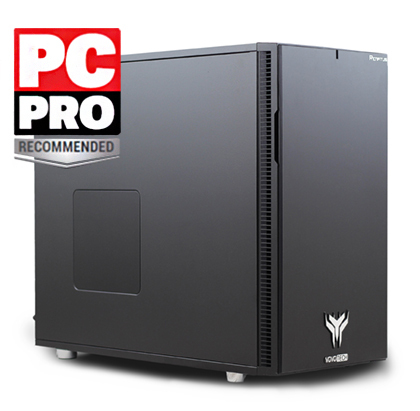 Centerprise International partner, YoYoTech have just received a ‘PC Pro Recommended’ mark for their innovative high performance workstation, the Renatus Pro M3. PC Pro is a popular magazine for technology enthusiasts across the UK. Every year they undertake an extensive workstation group test to find the top machines on the market. Not only was YoYoTech’s workstation selected, it received the ‘PC Recommended’ mark, overcoming the likes of Lenovo, HP and Workstation Specialists. The Renatus range has been designed for enterprise grade users and engineered to handle the most resource intensive tasks from 3D modelling, video rendering and audio engineering. Highly customisable, fitted with industry leading components and the style you expect from YoYoTech, these workstations deliver the power and high performance needed to increase any professional workflow. This marks another success for YoYoTech and their range of gaming, professional and enterprise workstations. Only last month the team received the ‘Editor’s Choice’ in Micro Mart for their Warbird RS12 – another fantastic review.